"The public is able to see all the anyaay done by them (Congress) in their Nyay scheme," UP Deputy Chief Minister Dinesh Sharma said. "The party is trying to misguide the people of the country," UP Deputy Chief Minister Dinesh Sharma said. 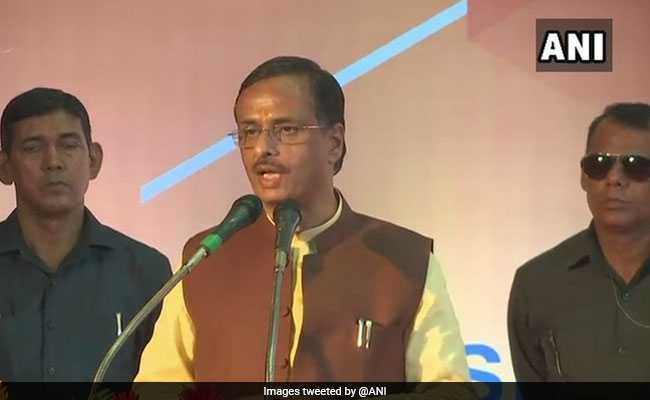 Hitting out at the Congress, Uttar Pradesh Deputy Chief Minister Dinesh Sharma today described the party's minimum income guarantee scheme NYAY as "anyaay (injustice) yojana". He added that the scheme is "laughable" compared to BJP's welfare programmes. "The public is able to see all the anyaay done by them (Congress) in their Nyay scheme. They ruled the country for almost three-fourths of the 70-year period after independence but never thought about the betterment of the people, especially the poor," Mr Sharma told news agency PTI. "The worst impact of the ''anyaay yojana'' will be visible in Amethi (Rahul Gandhi's constituency), where the ''raj gharana'' (royal family) will lose the parliamentary by a margin of few lakh votes for the first time. The BJP's flag will fly high," he said. Congress president Rahul Gandhi had announced the party's minimum income guarantee scheme this week, under which Rs 72,000 will be given to 5 crore poor families annually. He had called the scheme a "final assault" on poverty. Pointing out that the Congress had been saying ''garibi hataao'' (eradicate poverty) for the past several years, Mr Sharma wondered what the grand old party had done to achieve the goal. Mr Sharma alleged that the Congress was not able to give even Rs 72 to the poor and only raised ''garibi hatao'' slogans. "The party is trying to misguide the people of the country by showing dreams of giving Rs 72,000 per year," he said.